This week little Miss A went off to her first ever week of camp. we were the ones having the qualms and sniffles. I am sure she will have all kinds of stories to tell us when she does get back. that I feel I have to have around. One of the areas I have the most problems with is my scrapbook supplies. or forgotten - then never used. need all my supplies out where I can see them. But, I also need them organized, neat and pretty to look at. So, I am constantly looking for ways to bring all these requirements together. try to put them to good use. well, jars just seemed to be the best way to go. I cleaned the labels off the jars with a little trick I read about somewhere. then rub with olive oil and they come right off. You need very little "elbow grease" when using this. All that glue residue just slides right off. done a lot of scrubbing, peeling, and seething over those stuck on labels. They were ready in no time. No storage solution can go undecorated by me. you could spray paint them. Then they received some great embellishments. that I had lying around to pretty them up a bit. Here are some of them being displayed on my desk. I change my mind a lot and they are basically free. 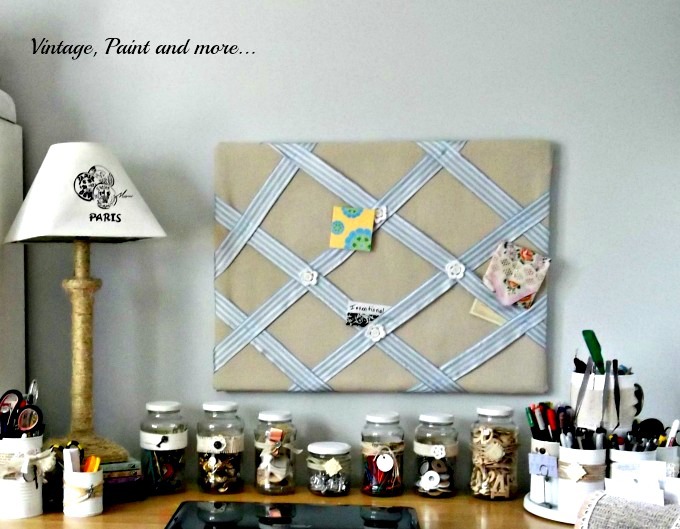 What have you recycled to organize and make your life easier? Tell us about it in the comments - I love to hear from you. I answer all comments through email. I will be linking up to the parties on the "I Party At" page. 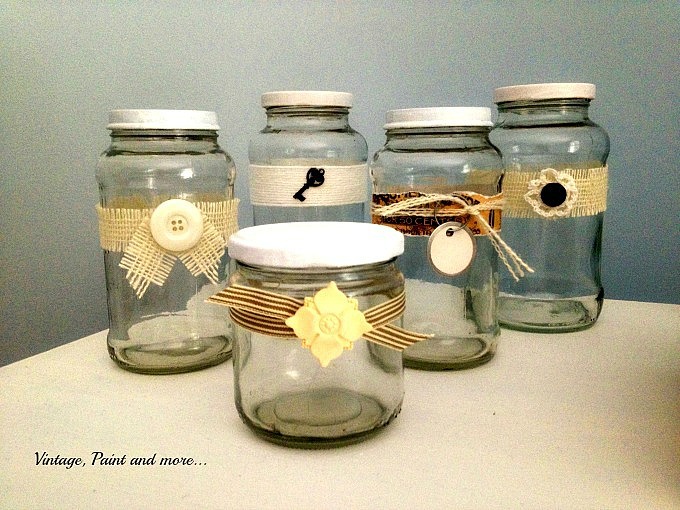 I re-use jars for storing crafting materials, Lego pieces, or Barbie-doll accessories. It certainly saves a lot of trouble. I've always wanted to get into jars, but I just can't fit :D Really though, love it. 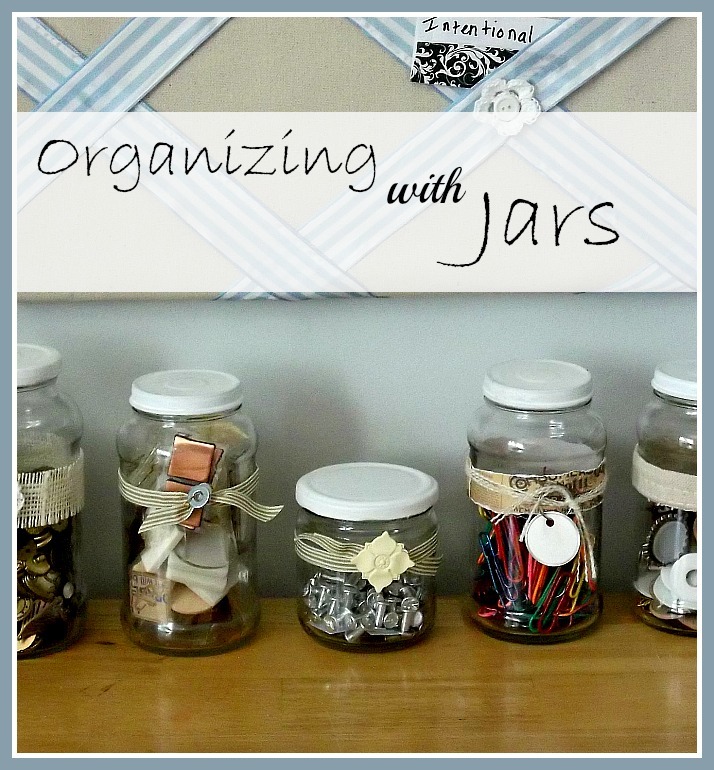 I'm starting to utilize jars for 3D craft projects, but it would be nice to use them to organize too. Only have one though right now. 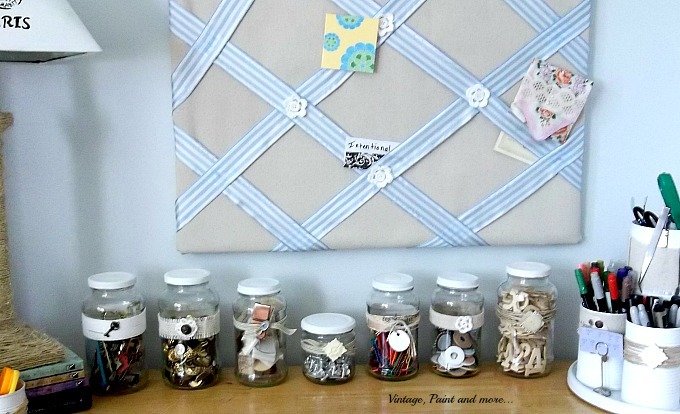 I love this idea and have many jars that I have kept just to do something like this, now to do it... Pinning this. I love using jars, they are so versatile! Love how you embellished them! I love the jars! So cute. I have a bit of a jar obsession so this is right up my alley. So cute Cathy! I am going to be using this as inspiration for my summer mantel decor! I know a few people who do this, it's a great space saver. Nice jars and they are so nicely decorated! Great idea! Coming from Pinterest party, have a nice weekend! I love organizing with jars also. Yours turned out great Cathy! 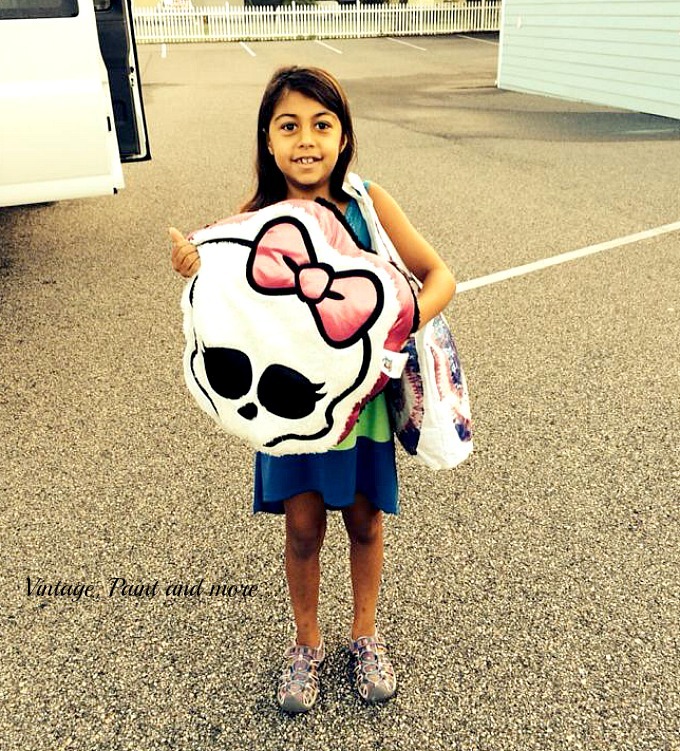 Hope little one has a wonderful time! Thanks for sharing with SYC. I really liked your post; it has been very useful for me as a new user of blogger. I absolutely love how you decorated your jars! ohhh so super pretty! You sure went above and beyond on decorating these - they are simply lovely!! I too like to have stuff where I can see it otherwise I forget it. But when you find it again it's always a nice surprise! Thanks for linking with the creative craft challenge!